North Carolina currently has two home and community based 1915(c) waivers that serve children. One serves children only, while the other serves people of all ages. All waive parent income. 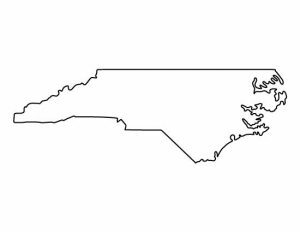 See North Carolina's services by population page for general information. North Carolina is shifting most individuals in Medicaid into managed care in 2019, including individuals in the Innovation waiver. North Carolina also has two adult-only waivers, CAP/DA and TBI. Description from medicaid.gov: Provides in-home care aide service, financial management, assistive technology, case management, community transition, home accessibility and adaptation, institutional and non-institutional respite, participant goods and services, pediatric nurse aide services, specialized medical equipment and supplies, training, education and consultative services, vehicle modifications for individuals who are medically fragile, ages 0 – 20. How to Apply: Contact your closest Case Management Agency. Description from medicaid.gov: Provides day supports, personal care, residential supports, respite, supported employment, assistive technology, community guide, community networking, community transition, crisis services, financial support services, home mods, in home intensive support, in home skill building, individual good and services, natural supports education, specialized consultation, vehicle mods for individual with IID and DD, ages 0 - no max age. How to Apply: Contact the Advocacy and Customer Service Section at 919-715-3197. Waiting List: 10,000 people with developmental disabilities are on North Carolina's waiting list.